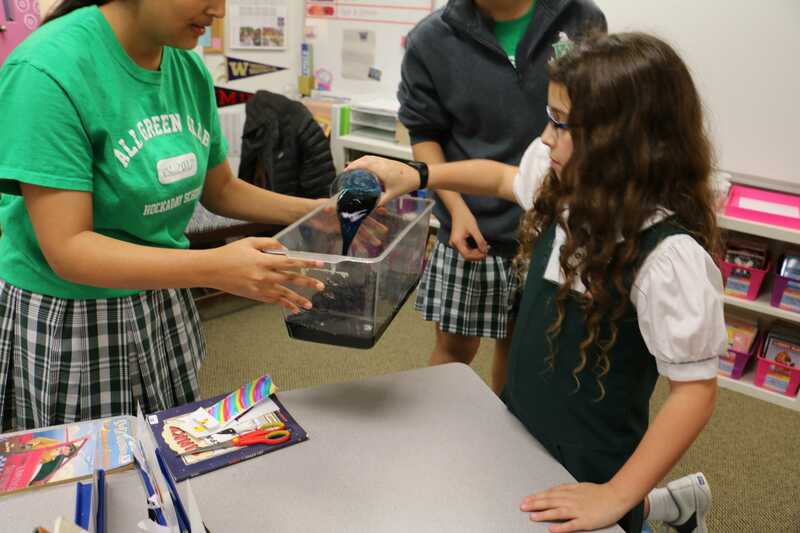 On Nov. 30, second graders gathered in their classrooms at 2:40 p.m. to attend a session held by the Hockaday All Green Club on the subject of air pollution. 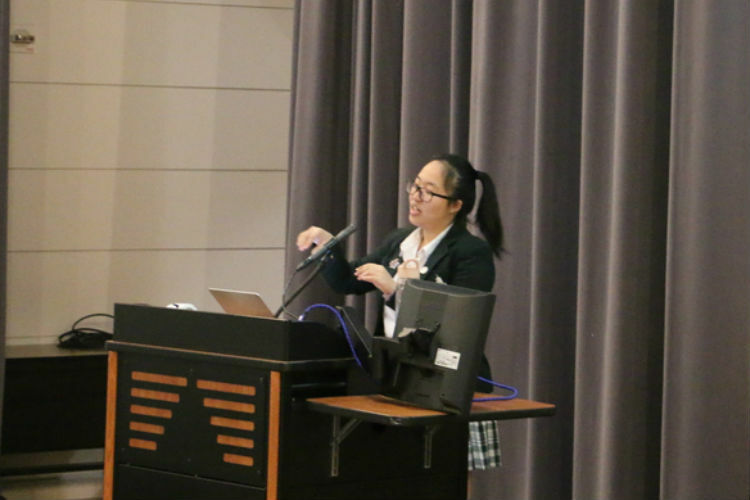 The presentation involved an informational PowerPoint created by the club members and an air pollution simulation activity. 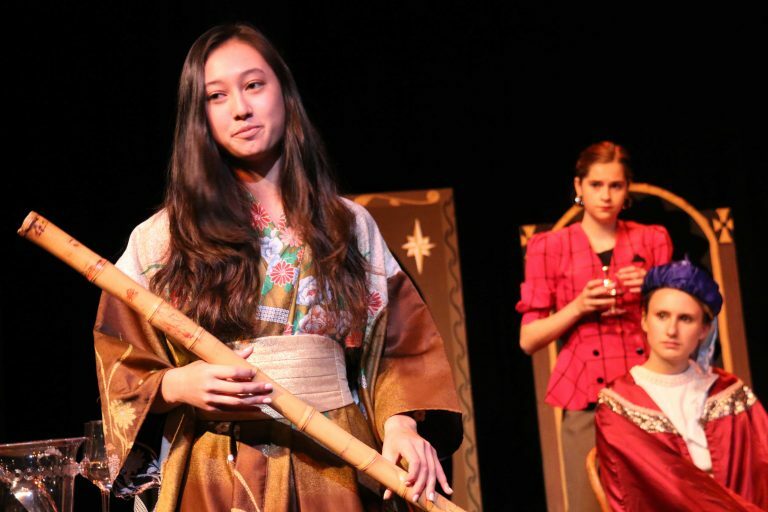 During the activity, the club members called out human activities that contribute to air pollution, like showering or riding a car. 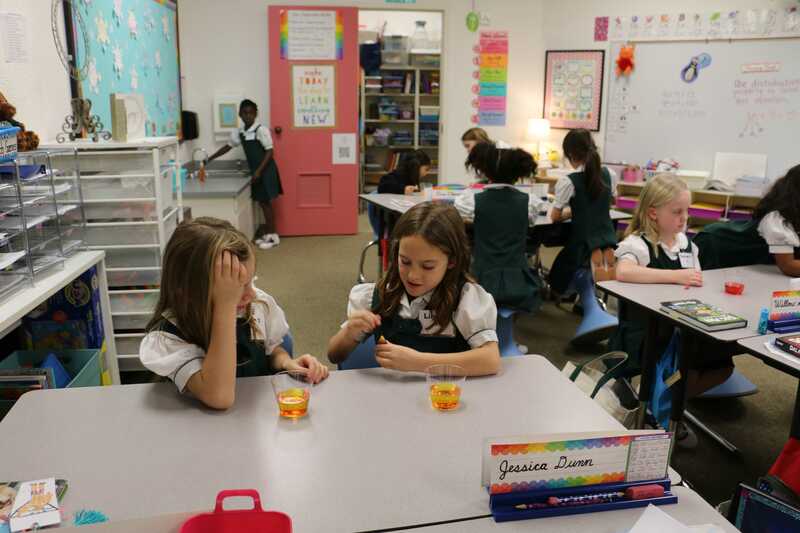 Meanwhile, the second graders were instructed to add a drop of food coloring into their respective cups of water if they have recently done said activities. In the end, the girls each poured their cup of water into a bucket that represented the environment. 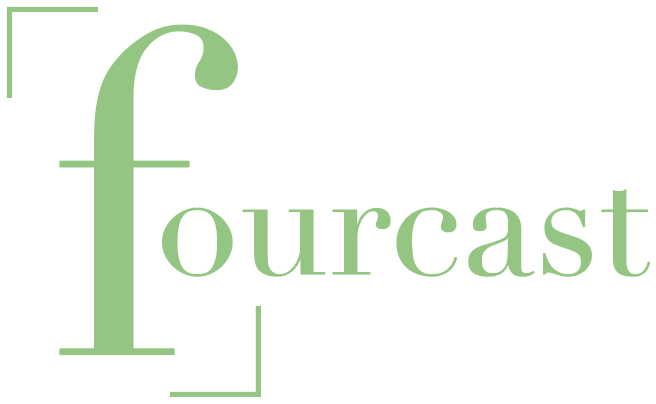 The All Green Club launched this initiative with their faculty sponsor, Director of Service Learning Laura Day, during the 2017-2018 school year. This was their third session since their first in the fall of 2017. 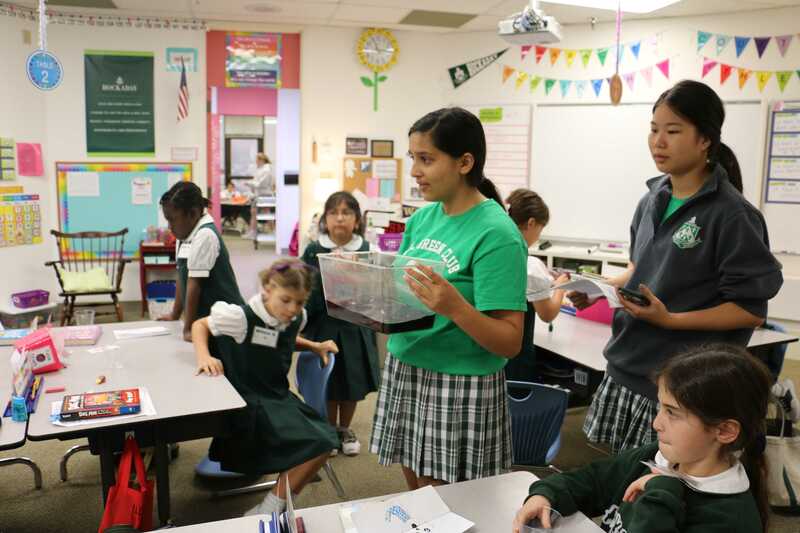 All Green Club President Riyana Daulat believes that raising awareness for air pollution in the younger girls can help alleviate the effects of climate change. “We can all make a difference in however way we can. I think empowering them that they can make a change is really important,” Daulat said. 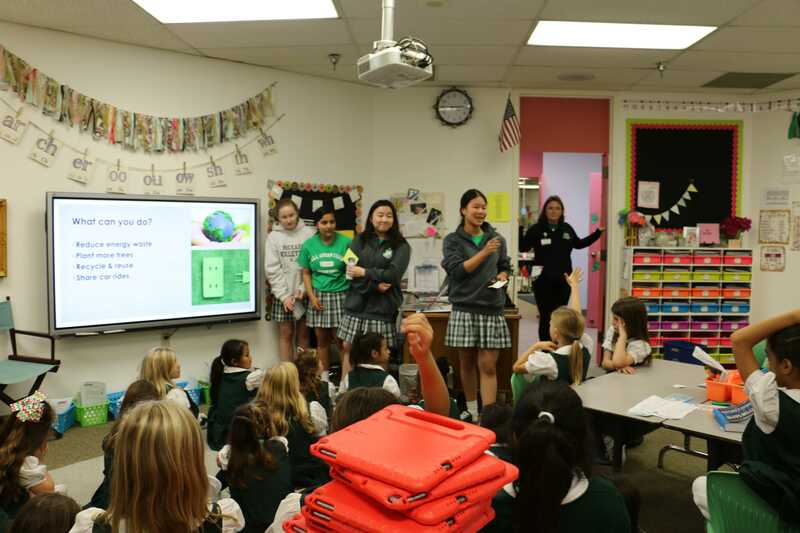 All Green Club President Riyana Daulat and Vice President Susan Zhang present a visual simulation of air pollution to the second-grade class. At the end of the presentation, the club members remain to answer questions from the second graders. 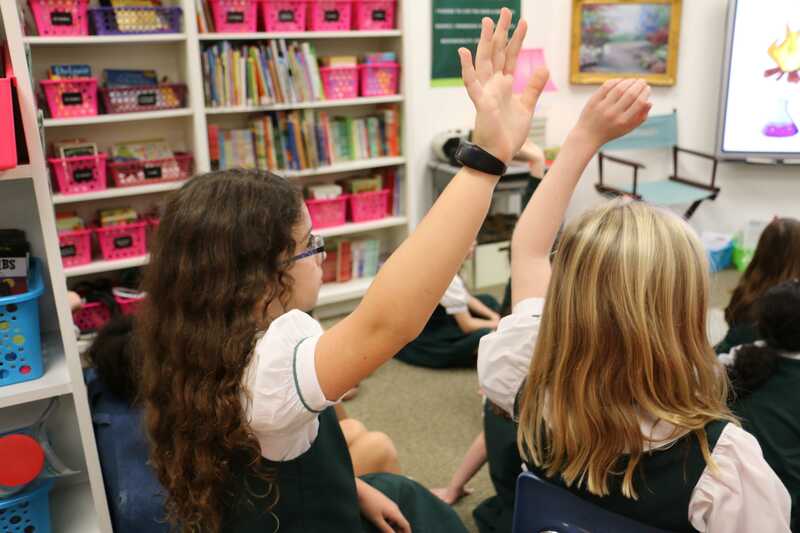 During the PowerPoint, second-grade girls eagerly raise their hands to ask questions and contribute to the discussion on air pollution and climate change. Two second-grade girls prepare to add yellow food coloring into their cups of water for the air pollution simulation activity. At the end of the simulation, the second graders pour their colored water into the bucket held by Daulat. The muddled water in the bucket represents the effects of air pollution on the environment.